Tetra AquaSafe protects fish and plants reliably neutralizing substances in tap water that would otherwise be dangerous for ornamental fish.Additionally, it also contributes important vital components for nature-like aquarium water. 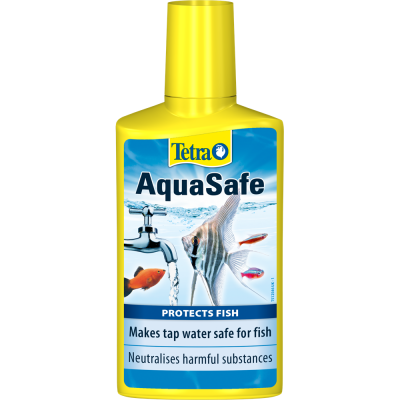 The optimised formula ideally matches the care needs for skin and fins of your fish and should be used before adding fish and every time new tap water is added to the aquarium. This product is available in sizes of 50ml, 100ml, 250ml and 500ml to treat increasing volumes for better value.